Our last day in the States was picture-perfect (and thus fits in well with the rest of the trip). 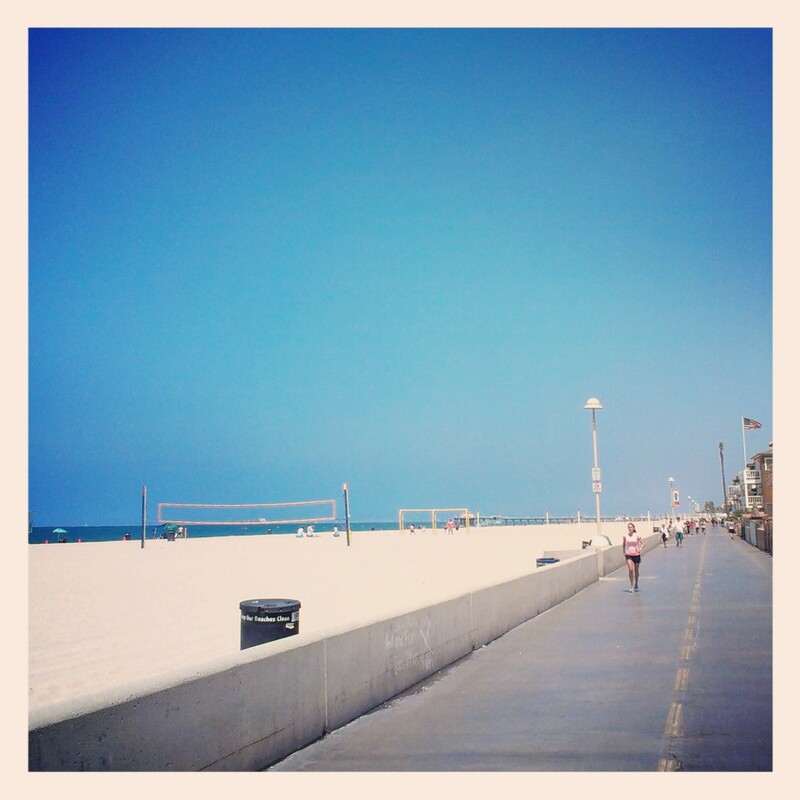 We began by skating up and down the Hermosa Beach board walk: On top of the fact that it follows a lovely Pacific Ocean beach, it's super-smooth and really fun and easy to skate. We must've made very high squeeky noises of delight because we walked up to the ocean to discover two dolphins playing in the surf right in front of us. We're thinking that we went super-sonar and attracted them. 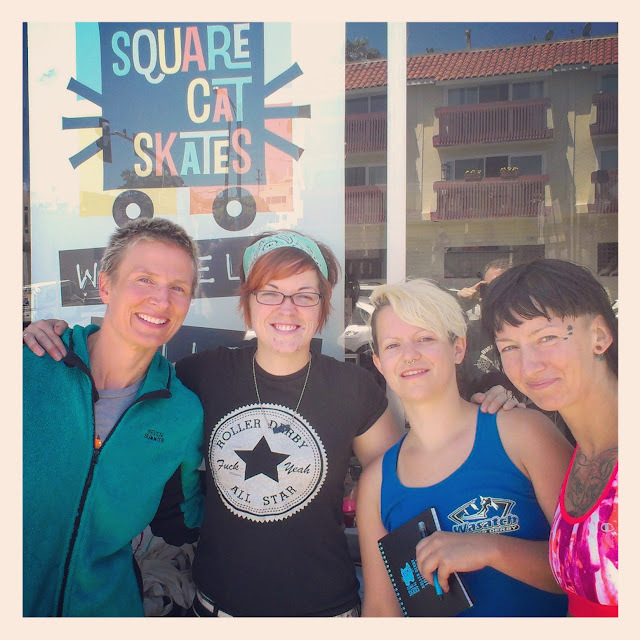 After splashing around in the waves ourselves for a bit, we went to check out Square Cat Skates. And yes, the fact that Rage runs a skate shop basically ON the beach made us re-evaluate our life choices a little... Today was the perfect end to a perfect trip and if there weren't our loved ones and a very beloved roller derby team waiting for us in Vienna, we might just stay.